Q. I don't see the full-text of my journal article in the database. How can I get the article? 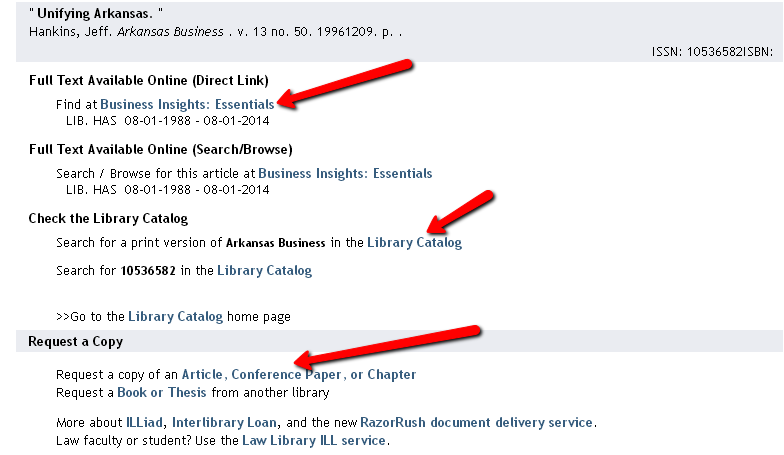 Not all articles can be found full-text in all of our databases. If you don't see the full-text, look for the Find It! button. The FindIt page opens and will provide links to full-text that might be available, or the option to search our Library Catalog for print or hard-copy availability. If the libraries do not have access in either print or online full-text, you can Request a Copy of the article via Interlibrary Loan from that Find It! page.